I’m in the final throes of packing up our family, house and gear for a lengthy trip – the best kind, of course. So I figured I should tell you a little more about it, given that upcoming reviews and guides are going to be influenced heavily by what we’re up to over the next couple of months. It’s not like we haven’t done this before. In fact, other than a couple of road trips and holidays here in Australia, it seems to be what our family does – mostly local travel, and once every few years ‘a big one’ to catch up with family and friends around the world. But this one is a bit extra special. This kind of trip was actually the catalyst for launching Point Hacks in the first place – I wanted to share what I’d learned during the planning and the execution of our first big round the world trip in 2011. First we’re off to San Francisco on Qantas’ still relatively new service. I flew the route back in 2009 when it was previously in operation, but this time I’m around I’m excited to travel in the refurbished 747 cabin. This is going to be a massive highlight of the trip. You might remember that I love skiing, but I haven’t ever been to Canada. Bring it on! The only direct, non red-eye option between these two cities is with Canada’s national airline, but in a fairly standard narrow body plane – nothing too exciting in terms of inflight experiences. Still, to fly direct, and not to have to connect, is much better with kids. It should be an interesting one to share. Cathay Pacific and Philippine Airlines both fly the route too, but both are late evening departures for a ~5 hour flight, so didn’t feel like dragging the little ones through that. 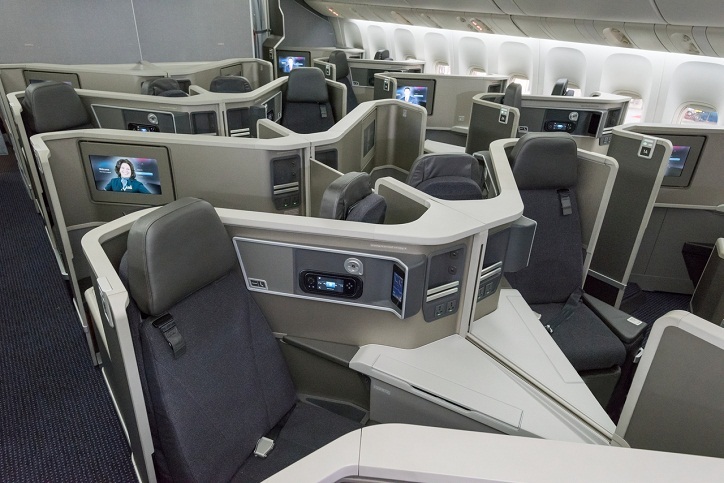 We’ll be in one of American’s reconfigured Boeing 772s with new Business Class but in an odd, mixed rear and forward facing configuration. 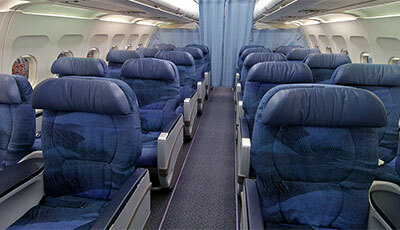 With four of us to configure well, I’m still sweating about seat choice. I haven’t flown American since their merger with US or their rebrand, so I’m looking forward to checking out what they have to offer across The Atlantic. The big one – heading all the way home from London in one hit, via Abu Dhabi, in Etihad’s Business Studios. 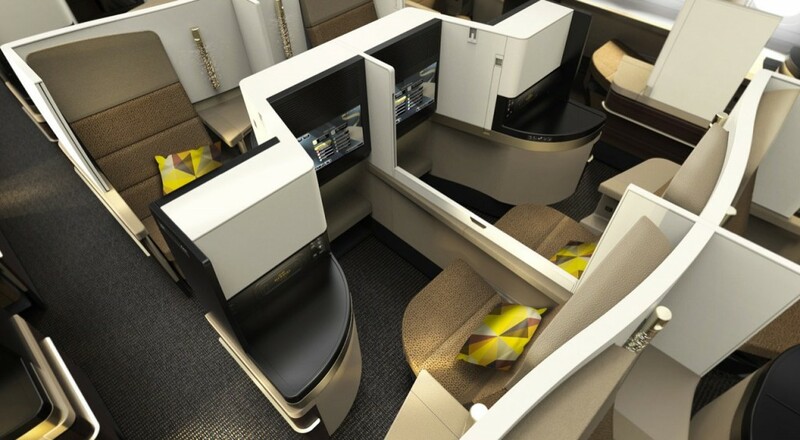 Etihad’s Business Class availability to frequent flyer partners such as American and Velocity is just excellent – and one of the best aspects of the Velocity program, in my book. I haven’t flown Etihad Business Class before, let alone in their newest A380 cabin, so I’m really looking forward to reviewing this one. This is all with our 5 and 2 year old kids. Wish us luck! It will be the first time we’ve travelled with our kids a bit more grown up, so there may be some interesting lessons on flying and travelling with smaller humans to share. I’ve also employed every trick in the book to be able to earn enough points and eventually get most of our flights direct to and from our destinations in Business Class. It was no small feat. So alongside reviewing the flights and hotels as I usually do, I’ll also try and write specifically about some of the concepts and planning I employed to help reach our goals. This trip has been around 10 months in the making, so I’m excited to share it! In between getting a bunch of talented new editors up to speed, putting some effort into Point Hacks AU and NZ, and getting ready for our trip, it’s been a busy beginning of 2016. The new team are working on a range of guides, offers and more great content to bring you over the next few months. Thanks to everyone for your continued reading and support! Hmm… I hope your lucky Keith with the QF 747 luck seat dip. Only 50% of the 747 fleet has been refurbished, went up and back in J class to TYO last week, QF reservations swore blind black and blue aircraft was refurbed, they even looked at the rego numbers… guess what??? No reconfigured aircraft and no lay flat beds!!! Flight Service Director told me that the fleet is over 30 years old, my wife’s window shade upstairs didn’t even have a tab to lift it up and down this is an airline that asks you to pay $4 to 5 k for the pleasure.. just a fleet of old flying buckets. I’ve decided to give QF away until EVERY aircraft in the fleet is done…. will not take the risk again with the QF lucky bed dip. Have a great family trip and I hope the kids travel well. I would be most keen to hear about how the kids travel in J in these lovely seats. 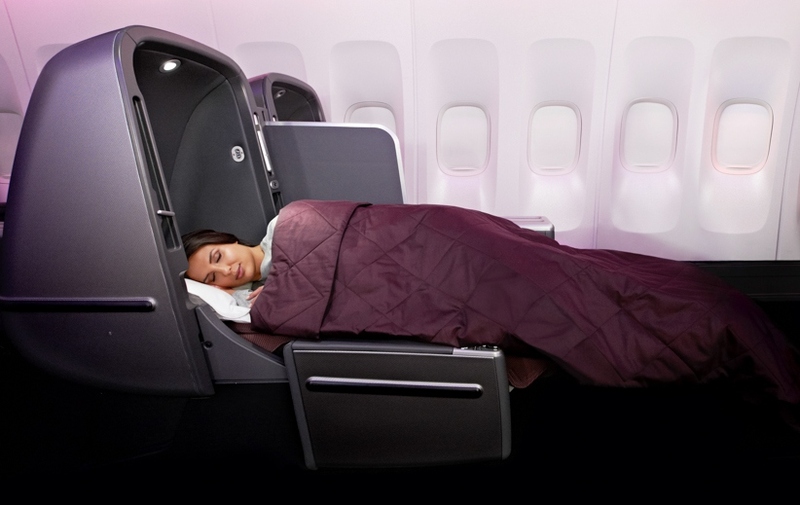 I have not been brave enough to try these with my 3 year old (instead opting for something like the Qantas skybed with the 2-2-2 configuration) as I think she just would not appreciate the ample amount of personal space and would just want to sit with me the whole trip. By the way I have tried subscribing to the daily newsletter a number of times but have not been successful and have never received your newsletter. Would you kindly add me to your newsletter email list please. You should now be subscribed – if you are still not receiving these please email [email protected] and I’ll get it sorted. Really looking forward to reading these reviews! Sounds like a great trip. Good luck Keith as well look forward to hearing about the trip and flights. Whistler is amazing I’m sure you and the kids will love it. Make sure you buy the Peak2Peak tickets and take the gondola across to Blackcomb. Last I heard they had a 3 metre base! Air Canada is not that bad as a tip check any excess luggage fees on your flight for your first and 2nd bags and also pre-order any food before you fly. You lucky, lucky bugger. Have a great trip Keith! Hey Bradley – yes, that will be part of the content I’ll be writing up as I go along. Remember to come back, or follow on Facebook or subscribe to emails to get the updates.